The book also shows how they established the job of today’s record producers often known as “A&R” men— employees of the artists-and-repertoire division at a record label who scout for talent and material, and oversee the artistic development of recording artists. Co-authored by Dr. Patrick Huber, professor of history at Missouri University of Science and Technology, and Dr. Brian Ward, professor of American Studies at Northumbria University in Newcastle upon Tyne, the book represents nearly six years of research and writing. It is jointly published by Vanderbilt University Press and the Country Music Foundation Press. 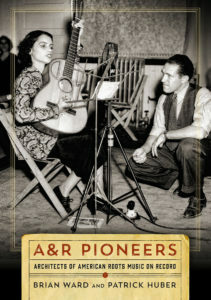 The American roots music covered in A&R Pioneers includes blues, country, gospel, “hot” jazz, and foreign-language vernacular music, such as Cajun and Mexican songs. The book discusses artists such as Bessie Smith, Bob Wills, the Carter Family, Louis Armstrong, Lydia Mendoza, Robert Johnson and Jimmie Rodgers, among others. It also includes the talent scouting and studio collaborations of record producers Ralph Peer, Art Satherley, Frank Walker and John Hammond, as well as those of their lesser-known colleagues such as Helen Oakley Dance, Don Law and Lester Melrose. Many unscrupulous A&R men took advantage of the artists they worked with, pressuring them to sign over the copyrights to their original songs and swindling them out of their rightful royalties, says Huber, who notes that in today’s music business, artists are much more in charge of their careers and aware of what their music is worth. 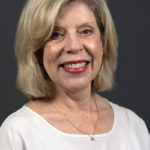 Huber is the author or editor of five books, including the prize-winning Linthead Stomp: The Creation of Country Music in the Piedmont South published in 2008 and The Hank Williams Reader published in 2014. Co-author Ward has published eight books, among them the award-winning Just My Soul Responding: Rhythm and Blues, Black Consciousness, and Race Relations and Radio and the Struggle for Civil Rights in the South. The research for A&R Pioneers was partially funded by a grant from the University of Missouri Research Board. The book is available at amzn.to/2IwliDH.